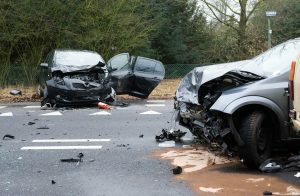 Car accidents can be traumatic events that result in very serious injuries such as broken bones, organ damage, whiplash, and brain injuries. Unfortunately, many people tend to overlook the psychological trauma, which can be every bit as serious as a physical injury and often harder to treat. If you’ve been injured in a car accident, you may already be experiencing some of the issues we’ll discuss below. However, it’s important to keep in mind the psychological effects of a car accident may not be immediately obvious. In any event, don’t ignore the symptoms – talk to your doctor, seek counseling, or confide in a loved one. And keep in mind that you may be entitled to compensation for damage to your mental health, just like you may be entitled to compensation for your physical injuries. Car accident victims often report lingering feelings of sadness after the accident. These feelings can last for weeks, months, perhaps even years in cases of severe injury. Everyone is different and experiences the pain and suffering that results from an accident differently. For many people, an uncertain future changed by new limitations can lead to depression. Many car accident victims find themselves unable to work or simply unable to do everything that they used to do. The possibility of financial struggles, lost wages, or being unable to care for your family can lead to a great deal of anxiety, resulting in an anxiety disorder. Intrusive/Re-experiencing: this is where the victim relives the accident or cannot stop thinking about it. Avoidance: the victim avoids anything that reminds him of the accident. Hyper-arousal: the victim suffers anxiety-like symptoms such as increased heart rate, sweating, or shortness of breath. Negative thoughts and moods: similar to depression, the victim feels persistently sad and/or is plagued by negative thoughts. Even if you don’t understand these feelings or understand why you’re experiencing them, they are no less valid and deserve professional medical treatment. A personal injury attorney can help you assign a value to your claim – the amount of compensation that you may be entitled to result as a result of your injuries, lost wages, pain, and suffering. As part of this evaluation, an attorney can help you identify those non-economic losses like the pain and suffering caused by mental health issues. From there, he can help you get the treatment you need and assemble the evidence you need to prove your claim. The personal injury attorneys at Slappey & Sadd work with car accident victims across the state of Georgia. If you’re hurting and worried about your future, we can help you get the compensation you deserve. If you’d like a free consultation with one of our attorneys, call us at 404-255-6677 or email us via our online contact form.